Math is everywhere and it is everything. Numbers make up everything. I LOVE math and I LOVE pi. Mmmm. Pi Day! The nerdy holiday celebrated by math geeks worldwide. This is the day we gather around to celebrate that amazing little (long) number, pi. Pi, approximately 3.14159, is the mysterious mathematical constant (number) that represents the ratio of any circle's circumference to its diameter. Pi has its day, appropriately, on March 14 (3/14). Often a Pi Day celebration will have an extra special event set for pi minute (at 1:59pm). In the UK, Pi Approximation Day is often celebrated on July 22 (22/7) as 22 divided by 7 is an approximation for pi. This day brings more fun to math classes around the world then anything else (second only to Math League). I wish you a very Happy Pi Day 2019! This sand art video in particular is absolutely AMAZING! At your pi party, have a TV or project showing Pi videos like this one. How Much Pi Do You Know? At your Pi Day Party check your guests birthdays on Pi Search. The birthday starting closest to the beginning of pi wins! Secant! tangent! cosine! sine! 3.14159! Goooo Pi Day! wikiHow article about How to Calculate Pi by Throwing Frozen Hot Dogs. Animation of How to Calculate Pi by Firing Cannonballs. The mathematical constant pi is such an amazing number that it certainly deserves a day of it's own. Pi Day is observed on March 14 each year as the calendar date is 3/14 (in America at least). Special Pi Day celebrations and proclamations are made at exactly 1:59:26 PM which is Pi Second (which falls during Pi Minute!). Pi Approximation Day is another pi holiday. Pi Approximation Day is usually celebrated on July 22. 22/7 is a rough approximation for pi (and in the European date format that is July 22). 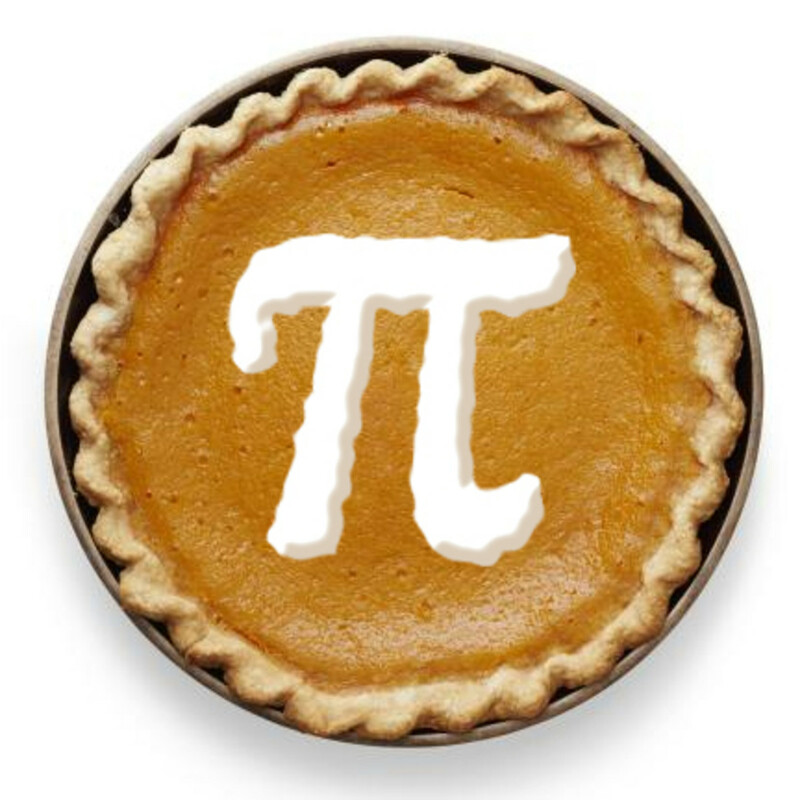 Pi can also be celebrated on the 314th day of the year, which is usually November 10th, but November 9th in leap years. Sir Cumference and the Dragon of Pi: The mathematical fairy tale. At our Pi Day party we had "storytime". We actually sat down on the floor with our legs criss cross applesause and watched as our very animated reader read us Sir Cumference and the Dragon of Pi like an elementary school librarian. We loved it. Liven up your Pi Day with one of these great activities. Hold a Pi Day Parade! Have everyone march carrying a digit in Pi. The Pi-Search - Search For a string of digits within the number pi. Great list of activity ideas for celebrating Pi Day. Founded in 1988 at the Exploratorium, Pi (π) Day has become an international holiday, celebrated live and online all around the world. The numbers in the date (3/14) match the first three digits of the mathematical constant pi (π). What is Pi? Who first used Pi? How do you find it? What is it for? How many digits is it? TOP: This is great for the cutting of the Pi Pie. Happy Pi Day, Three Point One Four. Start with three point one four! These are the balloons I like to use to decorate my Pi Day events. This is what says "I planned this ahead, and I'm a Pro". These are great quality balloons and you can use them for games too. Of course, you could make your own with a sharpie and that would work too if you want to save dough. Any pie will do, but if you can put the symbol pi into the crust of say an apple or cherry pi it is even more festive. Get this...you can even buy a pie pan shaped like pi !!! Having people over for dinner? Chicken Pot PI ! A pizza pie is a great add to a Pi Day party. To go all out, put pepperoni on in the shape of pi. Cookies or cupcakes decorated with Pi are great ideas. Make a paper chain out of 10 different colored papers. Choose one color to correspond with each digit, and see how long you can make it. 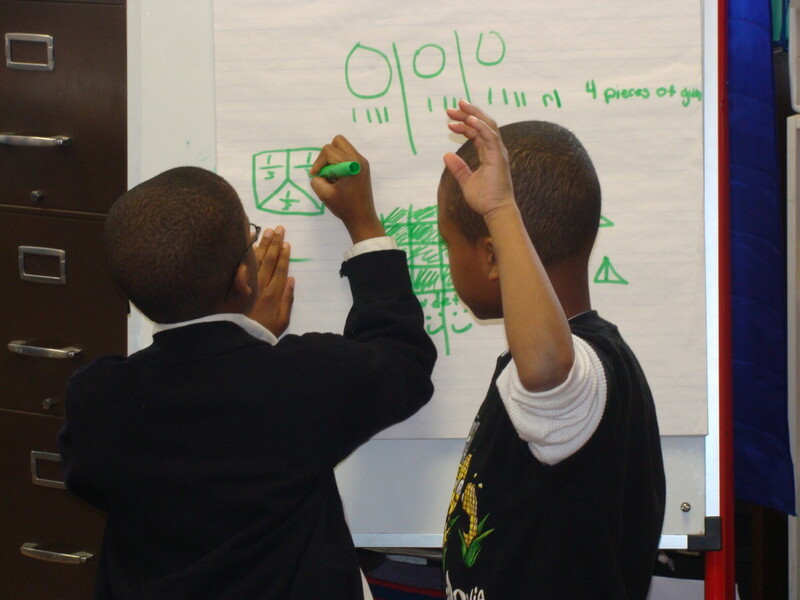 Pi Rhythm - Assign each of 10 students a digit. Have the digits of pi visible to everyone. Have students pat there legs in a steady rhythm. Have the students call out their digit when it comes up in the rhythm. Whenever a student messes up, they get "dinged". The person with the least "dings" after a set amount of time wins. Hold a Pi Day Run - Plan a 3.14 mile run. Perhaps you could make it a fundraiser. Do You Celebrate Pi Day? It's not my bag, baby. Have a decorating contest, where everyone decorates a Pi symbol. Let them know that you want more than just simply coloring it, you want it completely decorated, after all, it's Pi Day, and Pi deserves it. These are the first 400 digits of pi. If you need more, the first 10,000 are listed here. The time line of Pi. How do I Type the Symbol Pi? Another great idea is to write your own Pi-ku math poem. 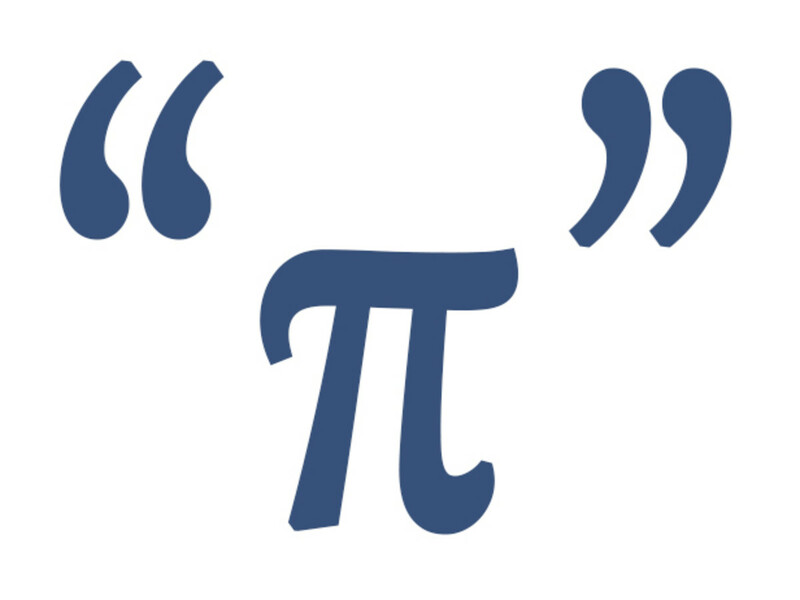 Who wouldn't love a Pi Haiku? The age old debate. Which is cooler pi or e? At your Pi Day Party, hold a mathematical debate. Assign a person to speak for pi and another to speak for e.
pi is so special, it only shows under "special symbols" in word processor programs. Pi Day rocks! No one cares about e Day. ln(pi) is an ugly, but ln(e) is 1. 'e' is the most commonly picked vowel in Wheel of Fortune. Baker: No! Pie are round, cake cornbread are square! A mathematician, a physicist, and an engineer are all given identical rubber balls and told to find the volume. They are given anything they want to measure it, and have all the time they need. The mathematician pulls out a measuring tape and records the circumference. 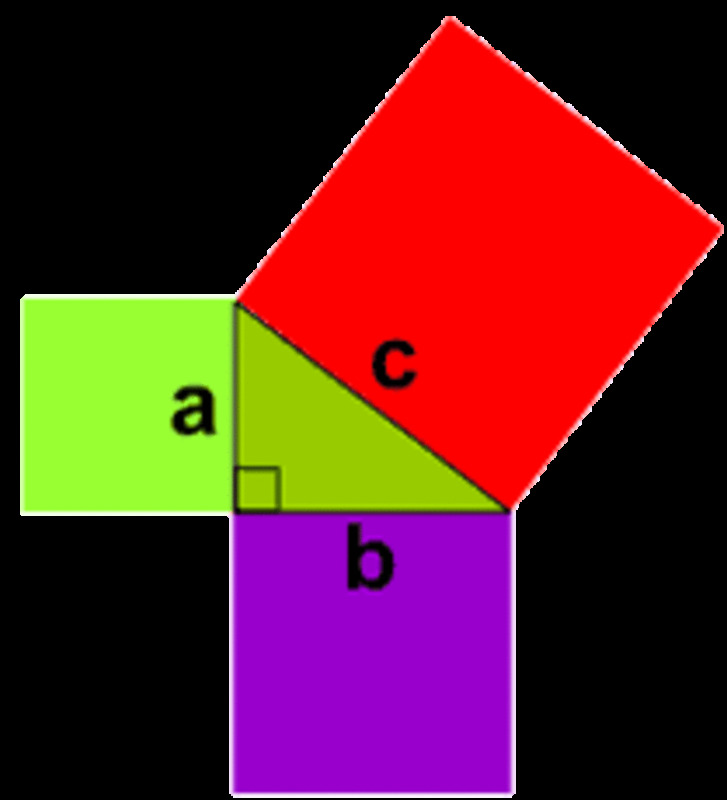 He then divides by two times pi to get the radius, cubes that, multiplies by pi again, and then multiplies by four-thirds and thereby calculates the volume. The physicist gets a bucket of water, places 1.00000 gallons of water in the bucket, drops in the ball, and measures the displacement to six significant figures. And the engineer? He writes down the serial number of the ball, and looks it up. What do you get when you take the moon and divide its circumference by its diameter? Pi in the sky. What do you get if you divide the circumference of a bowl of ice cream by its diameter? What's great about Pi Day, is that you can celebrate it doing whatever it is that you love doing. Everyone can make an amazing Pi Day project! If you love music, play Pi on a piano or instrument of your choice. If you love photography, take your camera to the streets and photograph numbers on buildings and signs in your town and then line them up to Pi. Take single digits, and also try to get some photos of strings of numbers. Then create a display of your photos. Check out this great example: Pi Day to the 36th digit. 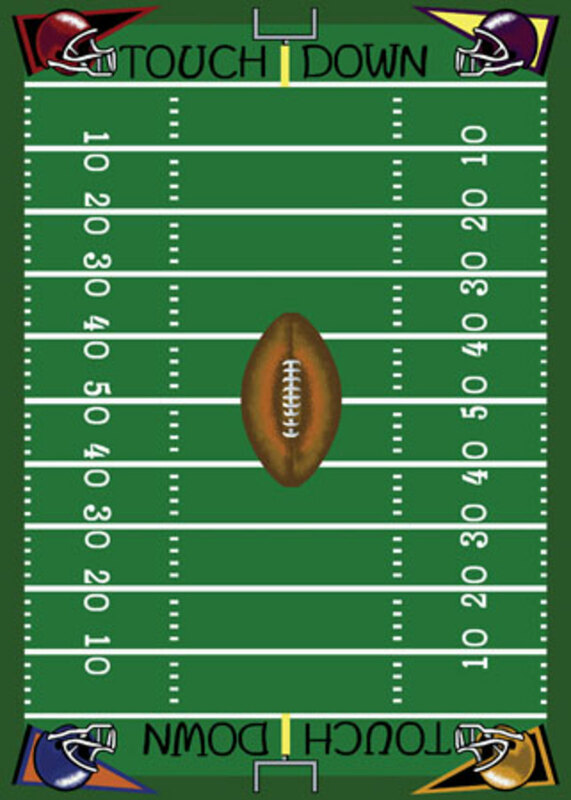 If you love sports, find photos of athletes wearing their numbered jersey's and line them up to represent Pi. Babe Ruth wore #3. That's a great place to start. Then choose an athlete that wore 1 or 14 and continue for the first however many digits of pi you wish to display. If you like making movies, create a stop action animation using anything...sand, legos, pencils, soda cans, people, anything. If you like acting, write a Pi Day skit and perform it. If you like writing, write a Pi poem, or create a false newspaper that includes fake Pi related stories (complete with ads, classifieds, and obituaries). If you like cooking, bake a Pi Pie. Another food idea is to use a serving dish shaped like a cylinder, half sphere, or even a cone, and prepare something in it, and display the calculations for the volume of that item. For instance, if you make a trifle in a trifle bowl (which is nearly a cylinder), you can calculate volume with this equation. At your Pi Day event, interview a guy with pi symbols stuck all over him. Have all of his answers be pi related - heavy on the puns. It's best when the interviewer gets annoyed at the puns and tries to come up with harder questions (to which Punny Pi Guys always has an answer for). Q. What's your favorite food? Q. Other than pizza pie. Q. What's you favorite story? Is Pi in the Bible? Well, yes, sort of. The problem that arises is that if you do the math on those figures then pi equals 3, but we know this is not accurate. I believe that since the Bible is not a science book, or a math book, that this error is simply stems from the writer rounding to the nearest cubit. Visit this site for more information on Pi In The Bible. When hosting the Pi Day soiree at your geek bachelor pad you'll need the proper equipment to ensure success. Square ice cubes just will not do. Round out your party with ice shaped like pi amazon. Also check out the ultimate in Pi Day cocktails...the Pi-Tini. Here you can wish everyone a Happy Pi Day, share your Pi Day stories and ideas, and ask any Pi questions. you throw every aspect of pi here.. even punny pi joke. Coming soon... 3.14... the movie Check us out on imdb. Wow! I love the Pi T-shirts. I celebrated Pi Day with Pizza. I really liked the Pi T-shirts and the Sir Cumference and the Dragon of Pi book! Thanks for putting it all together! I love the movie Pi &amp; Life of Pi. Wheeeeeee .. happy Pi Day!!!!! Great lens. It is very informative. Nice lens, really went all out on Pi. Cool lens! I learned a lot. Feel like celebrating now...love your ideas! Really fun and informative lens...Happy Pi Day!!! I love Euler's identity. I love everything about him. Wow....that was a lot of fun and interesting information about Pi and the Pi Day....Happy Pi day to you Kab. Math and irrational numbers are all Pi in the sky to me, but always makes sense when I need them to bake a pie! Happy Pi day to all. I feel ready to help my kids with their maths homework now. What a fun Pi lens it is a strange number that never resolves! Wonder if that has anything to do with infinity and the mystery of creation, odd that Pi day fell the day after the new Pope was selected. Wonder if he's into Math too? Odd what it makes you think about. Blessed! Nice. I loved that joke about mathematician, physicist and engineer. There is so much true in the joke. Happy Pi day! @birthdaybluepri: I love it! Sounds like a fun party. How about celebrating a Pi birthday? Just went to a friend's 31.419th birthday party. Great Lens. Why is "pi" Buzz Lightyear's favorite food? Because it goes "To Infinity and beyond"! Why wouldn't the circle go out with the quadrilateral? She was afraid he would be a square! Highly interesting and fun lens. I love PI day in school. I always organize a week long celebration for my students! Back to look at this fun and thorough lens. I just offered it up as an example of a lens about math - in the Squidoo forum game. This is the first lens that came to mind. Amazing lens, really enjoyed it! nice. I celebrate pie day faithfully every year. Nice article . Fantastic lens ! Nice, pi have huge influence in math world. As an absolute math geek, I love this article! Keep them coming! Wonderful lens, I spent or misspent a great deal of my morning here, watching the videos and looking at the merchandise. It blows my mind that Einstein's birthday is the same as pi day. I am going to send this to my ex-husband: a mechanical engineering professor. That man needs a good laugh. Angel Blessed. "Pi" is useful in engenering calculations, astrology, is also a symbol, a logo sometime, or represent our respect for old science..
Great lens, I think I've learned something today! Happy Pi Day! I was so happy to see that Albert Einstein's birthday was 3.14. How incredible is that? Thanks for the information. Your lens is so fun. Happy Pi Day ... #1 in Education. That's cause for a celebration! Love the Gene Simmons reference. I heard that a group of state politicians tried to pass a law requiring that pi = 3. Happy pi day and remember this is a leap year. Happy Pi day and yes happy payday on Squidoo! Such a cool lens, and really interesting - Happy Pi Day! Great lens! Happy pi day! This Squidoo Angel wishes everyone a very Happy Pi Day! Wow! I love pi :) hehehe Blessed! Happy Pi day to everyone! Excellent lens! @RCGraphicsDesign: You don't have to....but you'll want to! Really impressive. Do you have to exchange presents for Pi Day? :-) Great lens. Happy Pi Day! I'll be singing those tunes all day and celebrating with PIE! I thought yesterday was Pi day, so I sent the kids little pies in their lunches and was all ready to bake a pie for dessert when my son pointed out that yesterday was actually the 13th. So it's apple pie for dessert tonight! Nice lens. For the first time in my life, I am wishing I was a middle school teacher so I could share all of this cool pi stuff with my students! Great lens. I've never heard for P day before. This lens was worth of reading! Pi ice cubes, and I thought I'd seen everything! haha, Happy Pi day, I might just go and eat some, a savory one though none of that sweet pie my dear North Americans eat haha. This is a great lens and took a lot of thought and it really works. I've never heard for P day before. even if you earnestly try. Yet could pick Einsteinâs brain. Where have I been all these years? I've never been invited to a pi party and I don't own a pi tie. Interesting and well done! blessings for the mathematical geniuses. Wow, I never knew that there was so much to pi day! Excellent Lens! My cousins are planning a Pi Day party, and are collecting lots of "pie" recipes. Thanks for a great read. Blessed.